The FX40HR is the ultimate folding treadmill. With a whopping 3.0 HP continuous duty drive motor, EVO patented Motion Control and Swing Arm Suspension, wireless Heart Rate Control, and a double dot matrix display puts it at the head of its class. The heavy frame and quality construction gives you a health club feel at an affordable price. Swing Arm frame cushioning system for reduced impact and maximum protection of your joints. Shock-assisted manual fold for space saving convenience. Non-slip large 2.5″ rollers extends the life of the belt, deck and roller bearings. User weight capacity – 350lbs. ToughTrain 4 out of 5 Low maintainance, latest features and affordable price makes it a popular choice among its customers. 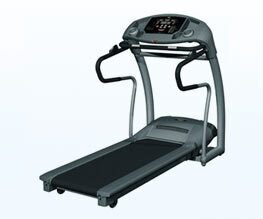 TreadmillDoctor.com 6.72 out of 10 We don't have many complaints with this model. A few tweaks this year makes it one of the stronger foldups on the market. *Note: Most of the sites, stores or shopping portals listed above sell EVO FX40 HR Treadmill with discounts and other exciting offers. There is a possibility that the some of above websites are not selling EVO FX40 HR Treadmill now. Toughtrain.com is not liable for such cases or instances. Also we do not recommend any seller for EVO FX40 HR Treadmill and a buyer should buy from where he/she gets best deal with quality of products, service and on time delivery (shipment).